Silver hair will show you how to decide if you're ready to give up the hair colour servitude, what method of going gray will be most comfortable to you and how to keep your hair and total look beautiful and youthful. With photos taken of real women over one year of growing out their colour, you'll see the various ways to grow out gray, from 'all natural' - minus the skunk line! - to low-lights, silverstreaks, a pixie cut, and dyeing your hair gray as your natural silver emerges. 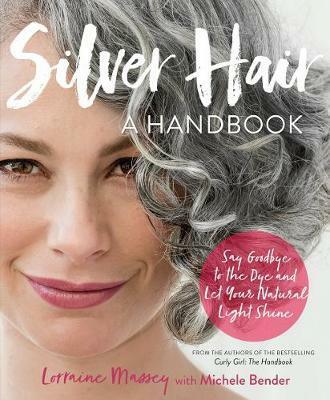 And in a section on 'how to stay gorgeously gray,' you'll find tips on caring for silver hair (complete with homemade hair care recipes) and how to complement your silver hair with clothing and makeup. Lorraine Massey is the author of Curly Girl: The Handbook, founder of Devachan Salons, and cofounder of DevaCurl products. She now works independently, teaching the Curl by Curl(TM) cutting technique and leading the movement to more natural hair care products with the launch of her new company, CurlyWorld (TM). Michele Bender, co-author of Silver Hair and Curly Girl, is an award-winning freelance writer. She has co-authored best-selling books, such as Believe Me with Yolanda Hadid and The Immune System Recovery Plan with Dr. Susan Blum. Her work has appeared in The New York Times, Glamour, Real Simple and Family Circle, among other national publications.